The Fiery Navigator Client needs to be installed on a computer using one of the supported operating systems listed below. 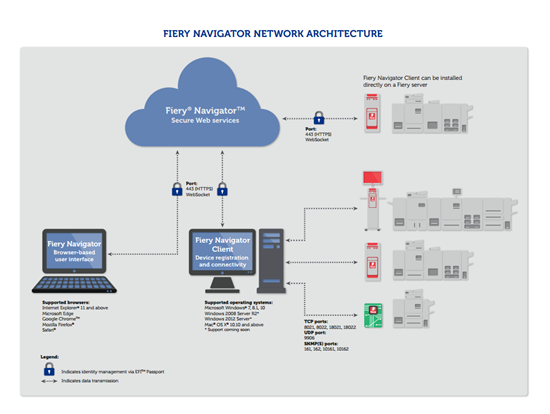 To access the browser-based Fiery Navigator web application, you must use a supported browser. The Fiery Navigator is supported on Fiery System 10 and newer.